What do you treasure? And how do you keep it safe? “The name of the LORD is a strong tower; the righteous runs into it and is safe. A rich man’s wealth is his strong city, like a high wall in his own imagination.” (Proverbs 18:10-11 NASB) As humans, we rely upon physical things to provide us pleasure or protection. We often take comfort or seek solace in material things, and imagine ourselves to be secure in our own devices. If you think about it, what is your strong tower? What gives you security? Wealth, especially, is considered the answer to all ills in our society. If only I was rich, everything would be great… Then my life would be awesome. We, on the other hand, are often more like Tevye in “Fiddler on the Roof”, who fantasized about what life would be like if only he were rich (“Lord who made the lion and the lamb; you decreed I should be as I am. Would it spoil some vast eternal plan if I were a wealthy man?”). A rich man may feel secure because of his wealth, but Proverbs says that kind of security really only exists in his imagination. As Robert Frost said (in “Provide, Provide”), “No memory of having starred atones for later disregard, or keeps the end from being hard…” Everyone will face the end, and no one will get any help from their stuff. When we stand before God, all of the money in the world will not justify us or redeem us. The story of the rich young ruler in Matthew 19:22-23 illustrated the vast difference between trusting God and depending on wealth. Jesus challenged him to come be a disciple, but he had other priorities. “When the young man heard this, he went away sad, because he had great wealth. Jesus said to his disciples, “Truly I tell you, it is hard for someone who is rich to enter the kingdom of heaven.” He often contrasted God’s kingdom versus man’s, and when he spoke of the Kingdom of Heaven, he said, “Do not be afraid, little flock, for your Father has been pleased to give you the kingdom. Sell your possessions and give to the poor. Provide purses for yourselves that will not wear out, a treasure in heaven that will never fail, where no thief comes near and no moth destroys. 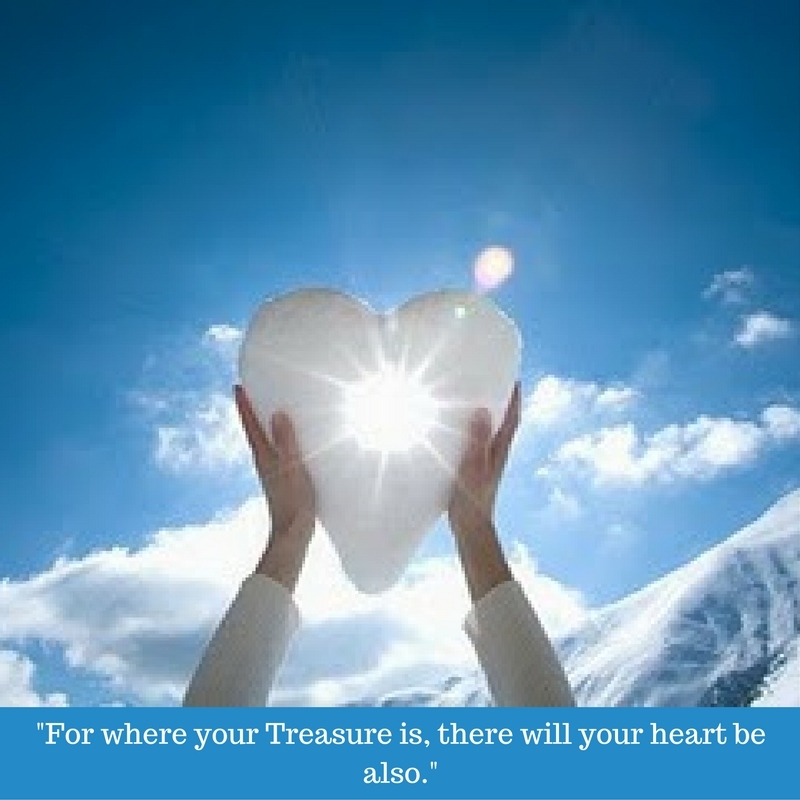 For where your treasure is, there your heart will be also.” (Luke 12:32-34) Not many will sell everything we have and give it away; but we can all ask about ourselves, Will your purse wear out? What do I value the most? Be careful where you store your treasure. Be careful where you seek refuge. Or heavenly gain that will not fade. What you think is really treasure. When you stand before God, will you have your stuff? Just pray that what you have will be enough.